Content marketers who are frustrated with creating ineffective content and want insights that tell them what topics to write about and what existing content to promote. 90% of marketing content doesn't convert. 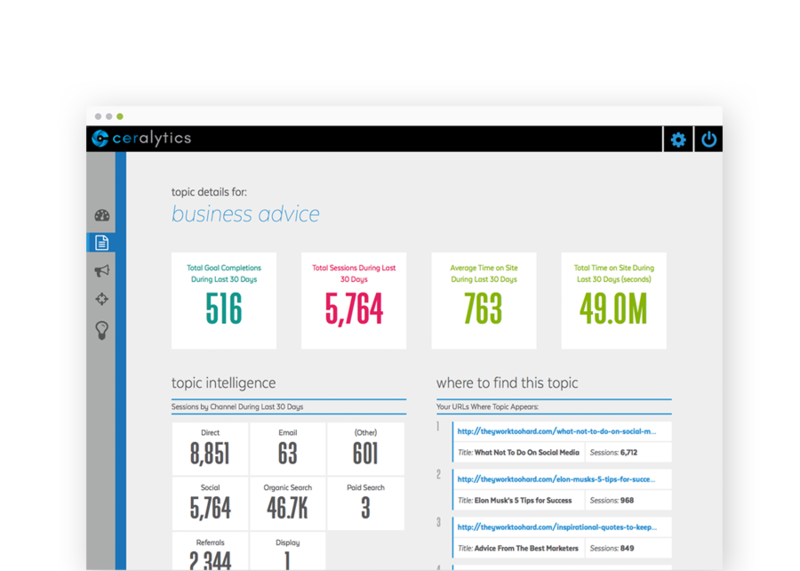 Ceralytics is a content intelligence platform that identifies the most effective topics that are building awareness on your site, which topics are currently converting, and uncovers how you are positioned within your industry against your competition. It also identifies under-utilized topics that you need to write more about to be better positioned against your competition and meet your audience's needs. 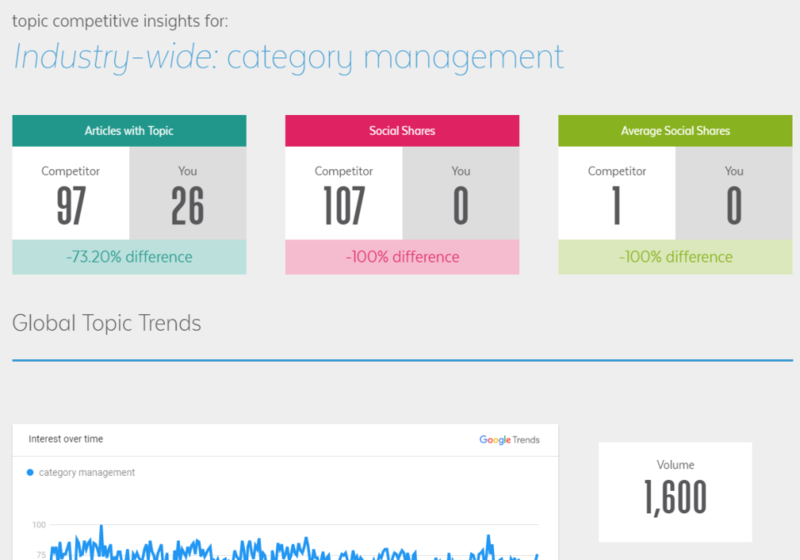 Ceralytics allowed us to analyze 42 competitors and get us actionable insights in a matter of weeks. Pros: Ability to analyze enormous amounts of data and translate the results into actionable insights was impressive. Analyzing content at the topic level gave us insights we never had - including large gaps in our current marketing strategy, allowing us to reframe our thought leadership content to align with what clients are seeking. The insights showed us, and our executive team, in black and white, what was working and not working in our marketing strategy out there in the 'big ocean' up against competitors. The data spoke for itself and helped align the executive team with the marketing team in terms of next steps for the brand. We built our new go-to-market strategy off of the insights Ceralytics provided and immediately saw increases in engagement with our target demographics, including a sharp increase in leads. 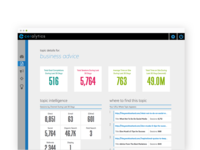 The Ceralytics team was able to pull custom data and create new reports quickly when we needed them. Cons: We utilized the custom reporting through the customer support team. We did not directly utilize the application, which would have been more labor intensive at a time when we were already running too thin. This was great because the Ceralytics team delivered everything we needed without us having to learn a new tool, yet we were able to stay close to the findings and be directly involved in decisions. Analyzing content at the topic level gave us insights we never had - including large gaps in our current marketing strategy. 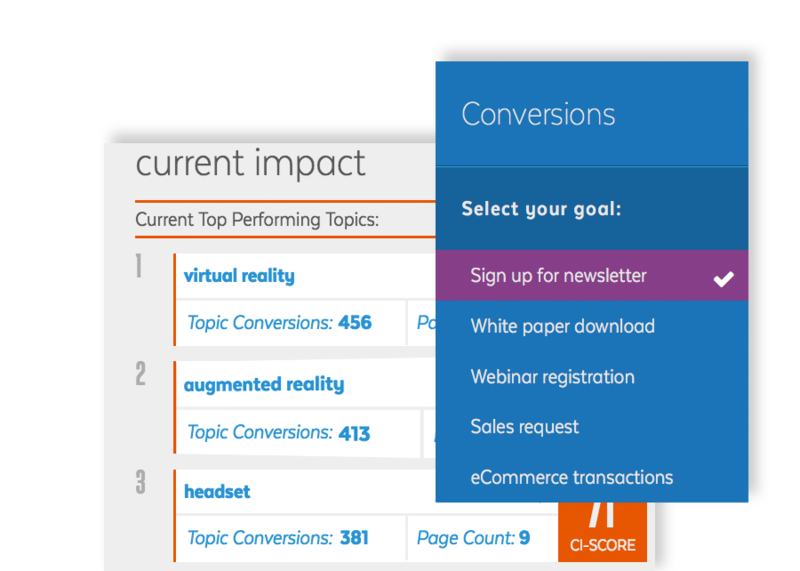 Ceralytics takes the "guess" out of "guesswork" for what content you should create. Pros: I love that Ceralytics identifies under-utilized content on your website, so you know what content you need to create more of (both to get traffic and to convert more people to buying decisions). The in-depth analytics are at a topic level, so you can see not only how the topic performs on your site, but how it's trending overall. 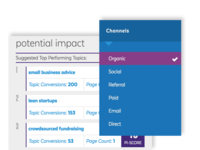 It also gives you an in-depth look at how your competitors' content performs - uncovering what topics they are currently seeing success with and where their opportunities are. Your competitors' opportunities then become your opportunities because you're seeing a level of detail about their site that they most-likely don't have. The industry comparisons identify the gaps in your content in comparison to the industry as a whole. High performing topics in the industry that you don't cover are called out, giving you an instant list of topics to cover moving forward. And it's all based on real data from the real world, not guessing or opinions. As a long time content marketer, it's amazing to know which topics people engage. Pros: We like the ability to understand which topics people actually engage on our website and our competitors across a high volume of URLs. We could never analyze the quantity of URLs manually that we can analyze with Ceralytics. Cons: This isn't really a 'con' but here goes...The information delivered from Ceralytics is high volume data. Our content marketing experts still need to apply their knowledge to analyze the data and determine the insights. Maybe in the future, software will do the thinking for us too. For now, it's very helpful to be able to analyze so many URLs to know what topics people actually engage so we can determine which topics we should focus on in our client's content strategy. BTW, clients love the insights! 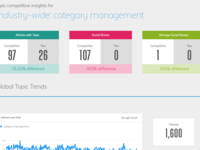 Overall: Certalytics takes the guesswork out of content marketing strategy. Pros: With the help of the Ceralytics team, the reports we were able to create helped us craft a well-rounded marketing plan for a client. Ceralytics knows what they're doing - their team has a background in marketing and software, and understood our needs to get us the most valuable insights at a great cost. Cons: I hope to see more iterations of Ceralytics as they grow - even more functionality would be awesome! I'd switch from other software to Ceralytics if they grow to include an option for add-ons or "suite" of functionality. Overall: The software helped us sell more services to our clients! Gave us great points to expand our services to content marketing, website management, social media marketing, etc. 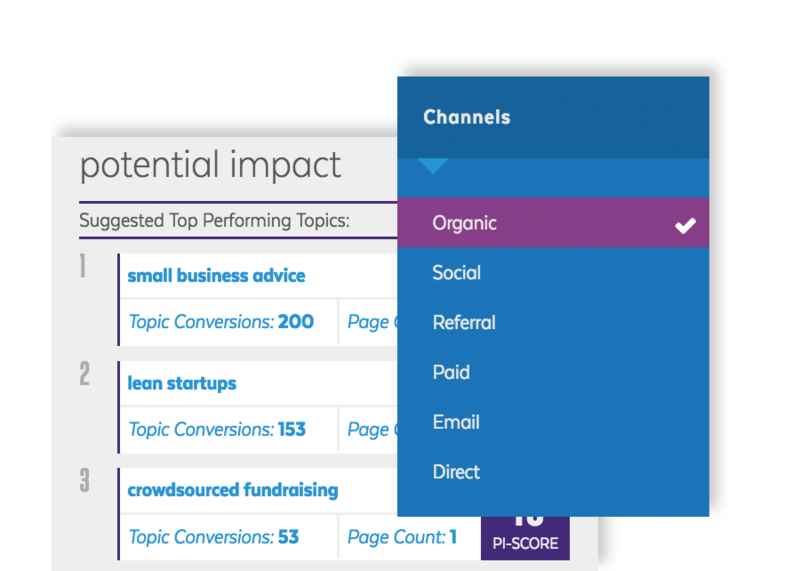 Pros: We needed a way to identify content drivers across the industry and leverage those insights to inform a successful content strategy. The data from Ceralytics is extremely valuable in helping us do that. We opted for a report instead of using the interface and found that the insights added from our account representative were fantastic. They even presented the findings once to the broader marketing team, and once to the executive leadership team. Customer service is excellent. Cons: Pricing is a little high, but the value returned is definitely worth it. Pros: How much time it saved my team. The amount of useful information that I got back relative to the cost helped accelerate the creation of a content strategy document for a client. Additionally, I hope to use the information a compass throughout the content creation to make sure we stay close to the areas of proven worth and opportunity. Cons: Initially I had a difficult time determining which competitors to use for the data set, but the team at Ceralytics dove right in with me to help identify the right mix. I needed smart intelligence to tell me where to take our content strategy - Ceralytics delivered. Pros: The team was highly engaged in helping us build and deliver a one-time report that met the needs of our very specialized market. They were extremely flexible to custom requirements and didn't add unnecessary paperwork when we needed small changes, and are still helping us "sell" the data to senior stakeholders so that I can effect change within my org. Great partner, highly recommends. Pros: It's a unique idea, and for companies with lots of SEO info and competition, it's really valuable. If it becomes a bit more automated in terms of the reporting, it will be super helpful. Cons: Right now it's just not super useful for us in particular...not the fault of Ceralytics necessarily, but because we are very niche and we don't have a lot of data to go off of. Our content performance is through the roof! Love the insights! 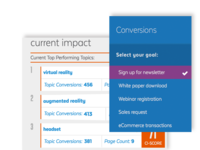 Pros: I love the performance and insights across awareness, engagement and conversion - as well as seeing the opportunities that our competitors are missing. The team is responsive and extremely helpful. They're like an extension of our marketing team. Overall: Ability to improve blog performance - and closing rate!